We spend so much of our time in kitchens, so why not make our kitchen more functional and fabulous? We’ve gathered 10 brilliant DIY kitchen organization and storage ideas in one place to help you get inspired. 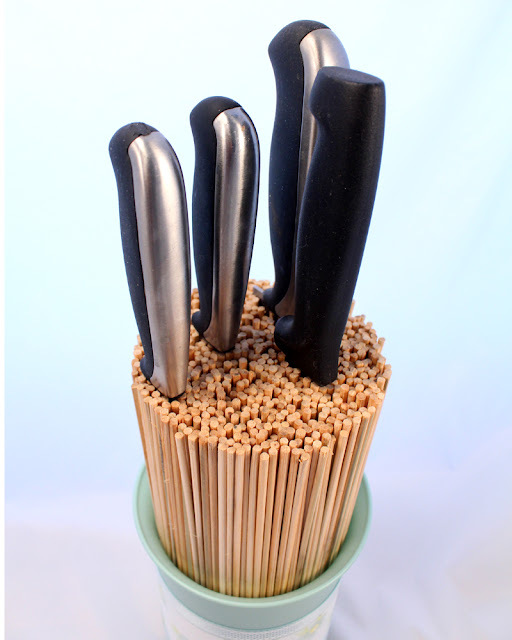 Keep your knives safely in bamboo skewers. They won’t splay everywhere and stab you in the hands, which is always a plus.